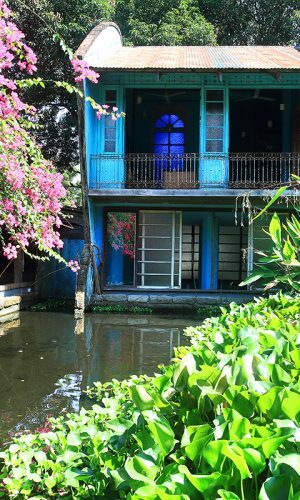 If Pampanga a part of your list of destinations this summer, head to Lubao and visit Prado Farms, a 5-hectare eco-resort owned by architect and educator Reimon Gutierrez, a farm that will let you experience the best of nature and tells a story about reinvention and sustainable living. Beyond the gate, another story will greet you: an old now used as a theater room for events and group activities. Sitting beside it is the library with vintage books and stained glass art. Inside the sprawling property are towering trees, most of which were planted by Gutierrez’s father, accented with acrylic artworks by Impy Pilapil. 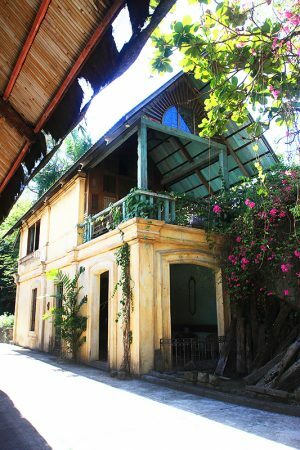 There is also a pool and a jacuzzi as well as a chapel beside the bed-and-breakfast to complete your Pampanga retreat. 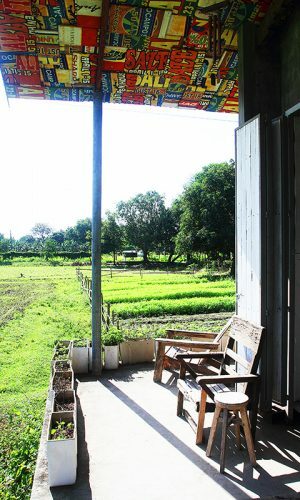 To best enjoy your stay, linger at the farm house where you can relax with a view of earth, sky, and the occasional carabao. Planning a summer getaway? Try going to the farm instead of the beach! Address : Km.95-95 Jose Abad Santos Highway, Prado Siongco, Lubao, Pampanga. To know more about Prado Farms, check the latest issue of Going Places Magazine now available on leading bookstores.